This is the picture that hooked me on photography. I took during my family’s annual vacation. This is my nephew and my parent’s oldest grandchild, and he’s not this little anymore. I took this picture using a Nikon 70 SLR with BW film. When I got the prints – probably from a CVS – I knew that I had captured a moment in time that was perfect. 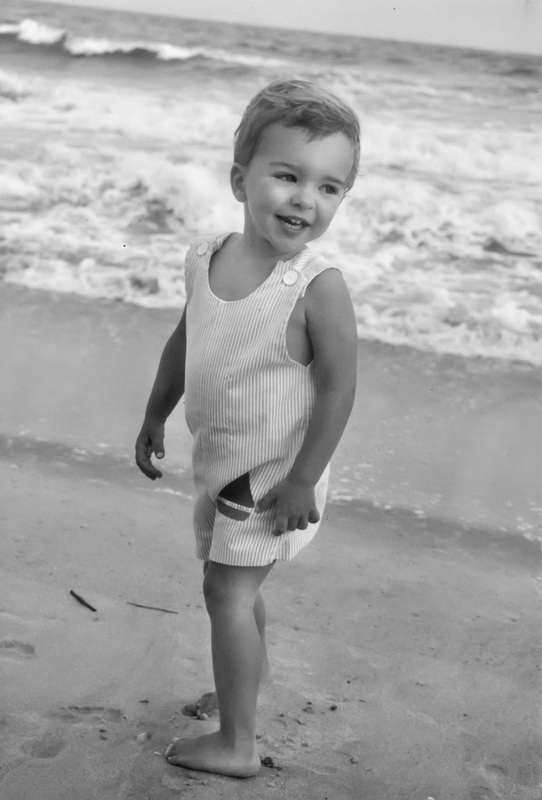 His expression, his posture, the setting – I’ll forever remember him looking back at his mom and laughing. He was in love with the beach – still is. There is something about capturing a moment like this that is both fleeting and eternal. My nephew will never be as innocent as he was here, and just as quickly as this moment happened, it was gone. And yet, when I see this picture (it is still one of two on my nightstand), I am right there with my family, reveling in his pure joy. And so, realizing that this is the work – or the art – or the privilege – of a photographer, I was smitten. Very nice story and terriffic capture!